What is School Age Occupational Therapy? School Aged Occupational Therapists (OTs) at the BC Centre for Ability offer services to students, educational staff and parents to achieve student educational goals. OT’s use a model of collaborative consultation to evaluate how a student’s environment, and physical, cognitive and self-regulation skills impact her/his ability to participate in school. 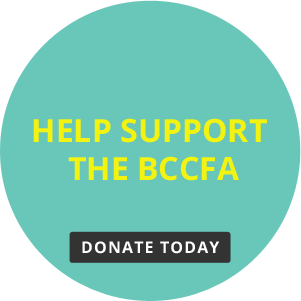 We serve children from kindergarten through high school who have physical, neurological, and intellectual or developmental disabilities and registered in either North Vancouver School District or West Vancouver School District. Why is School Aged Occupational Therapy Important? Occupational Therapists are healthcare professionals trained to help children engage in everyday living, including play, self-help and participation in family and childcare routines. School Aged Occupational Therapist evaluate and support a student’s ability to participate in daily living activities within the context of his or her school and home environment. School Aged OTs use their training in typical and atypical development and in task analysis to help parents and students recognize developmental red flags, identify readiness for new learning and find the best approach to build on emerging new skills. OTs help family and educational staff to understand the child’s developmental profile, and provide appropriate support and facilitate success. Using a collaborative approach, we identify family and school routines in which learning opportunities can be embedded and determine strategies which will best address identified educational goals. OTs also help to identify and understand differences in sensory processing and to modify sensory environments which children find challenging. Occupational Therapists work with students to assess current level of preparation in daily routines and work towards identified goals. Assessments include parent and school reporting, environmental assessment, and clinical observation of the student’s movement, self-care abilities like dressing and eating, and productivity activities like writing, computer use and leisure. Services address barriers that are encountered and provide adaptations so that a student can increase their participation in the educational setting. Services range from one-time consultation, workshops and ongoing therapy and are dependent on the clinical picture and the changes over time in relation to the student’s current needs and abilities. Services are provided in the school setting and when appropriate in the home or community recreational setting. Decisions about where and when to deliver services are dependent on goals being addressed and therapy team capacity. A referral is necessary to access School Aged Occupational Therapy. Referrals are made by the school with consultation and consent of the parent or guardian and approved by the school district. For a parent seeking referral please contact your child’s principal, teacher or learning support teacher. For school based teams please complete the North Vancouver District or West Vancouver District referral document in the Resources section to the right and then forward to the school district. Parent or guardian consent is required in the referral document.